This week we jump into Yahoo TV, Freeview Plus, Car Hacking issues for Chrysler/Jeep, new tech at MacDonald’s, Angus Norton’s journey from Microsoft to Xero, Drone Law changes, Android fragmentation and its impact on security, Windows 10 cometh. 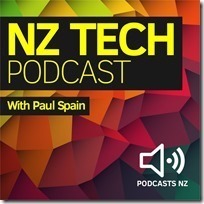 This NZ Tech Podcast hosted by Paul Spain (@paulspain) with guests Angus Norton (Xero – Chief Product Officer), Sean Dring. Published by NZ’s Podcast specialists – Podcasts NZ.